Heather and Joseph visited Oregon for their honeymoon. They brought their fancy clothes, brand-new coats, and a flower crown that their florist made especially for travel. After our hair and makeup artist prepared Heather at their AirBnB, we drove out to the Gorge. We arrived at Crown Point on a blustery day, but we laughed and made the best of it – we even took breaks to warm up in the car. These two were such great sports, and laughed the whole time! Once we got to Latourell Falls the wind lessened and we were grateful for it. Thank you, Heather and Joseph, for letting us be apart of your new adventure. May you continue to laugh your way through it! If you’d like to book a portrait session, contact us today! We are excited to announce that Top-Rated Local has awarded us their top Portland photographer award for 2018! 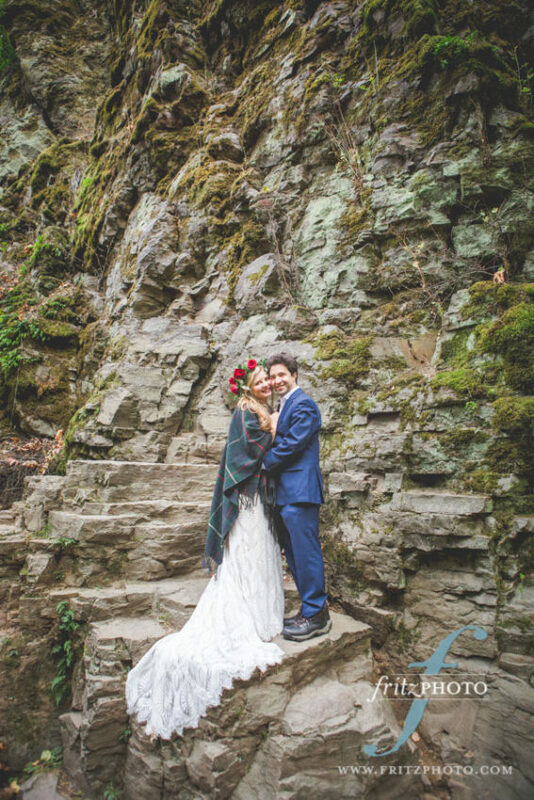 From wedding and portrait photography to commercial and editorial photography, Fritz Photo is the photographer to turn to in Portland for all of your needs. Fritz Photo has received more than 100 reviews from four verified sites with an average rating of 4.96 stars, earning them a wonderful Rating Score™ of 98.62 and a 2018 Top Rated Local award for ranking among the top 10 photographers in all of Oregon! Here’s just one of their many five-star reviews. “I was pleasantly surprised and was lucky to find a top-notch photographer by searching the web. Our senior pictures were outstanding, and there were plenty to choose from. The location in Portland gave us plenty of nice backdrops for our photos. Thank you, Fritz Photo, for doing a great job! We will recommend you.” – J.J.M. Whether you need a great photographer for your wedding, for senior pictures or to advertise your business, we highly recommend Fritz Photo. Visit their website today! We recently had the privilege of photographing Elena and Peter’s proposal (she said yes! 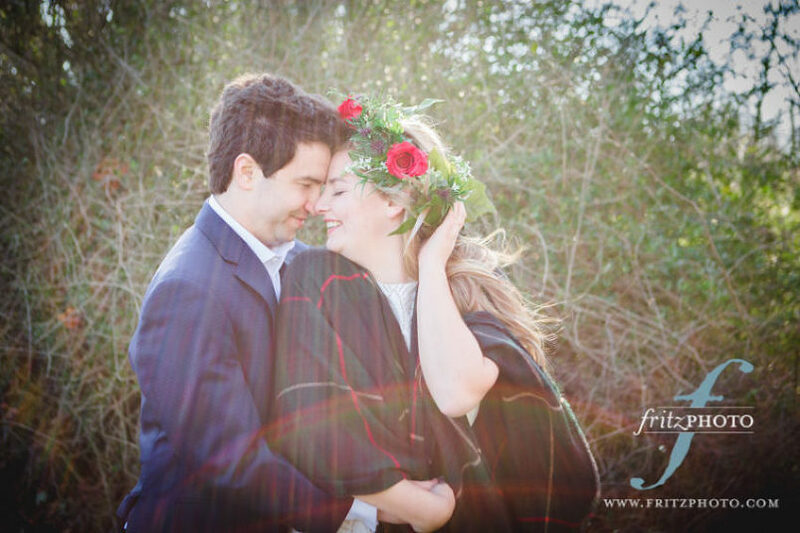 ), and engagement portraits. 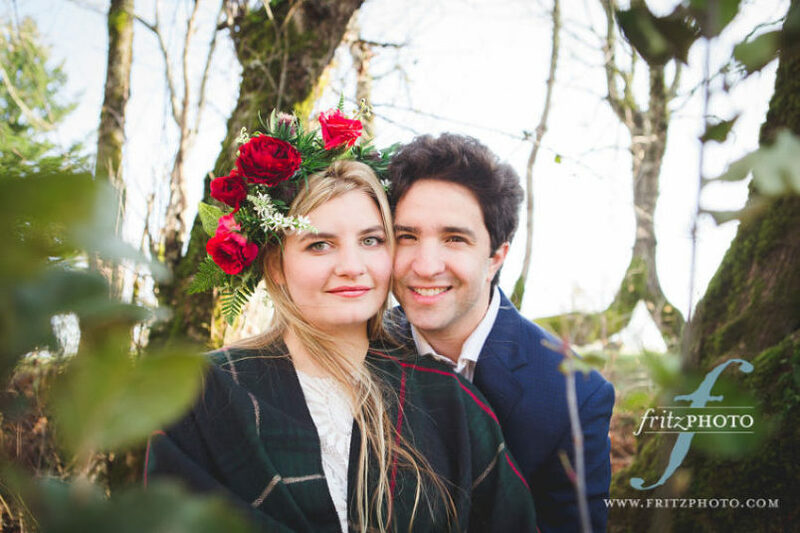 Peter proposed at Pittock Mansion, and then we took beautiful portraits of the two of them in downtown Portland. We asked them a few questions about their story…. We met in Sydney, Australia, in September 2014. Elena walked into my life while she was working a door-to-door sales job during her working holiday in Australia. She approached me as I was standing in the driveway of my home in Maroubra. We connected immediately and our conversation soon moved past her sales pitch as we found a number of mutual interests throughout our initial interaction. We began dating the following weekend and our bond has been strengthening ever since. What was most surprising about your proposal? Did you anticipate it? As a rather practical couple, it was difficult for me to surprise Elena with this proposal. We had already mapped out the next ten years of our life together so we both knew this event was inevitable. The fact that we were only together for a few weeks every six months, while we were living in separate continents, made it even more predictable. I tried to throw her off by hinting that I was taking her out to dinner that evening and then proposing at Pittock Mansion in the afternoon but she was always anticipating the moment. Were you nervous to ask? I wasn’t nervous about asking but I wanted everything to go smoothly. Rain was predicted on the day so that was a little worrying. I had organised everything – the ring, the photographer, the venue, and the dinner afterwards – by phone or email from Australia, so I couldn’t be completely in control of the variables. Do you have any wedding plans, ideas or a date set? Elena returned to Australia in late January this year. We will be getting married in my home town, Adelaide, in the first week of October 2019. This will be just over five years since we realised that we had found something truly special in one another, during our first few weeks together in 2014. The wedding will be held in the ballroom of another historic mansion, Ayers House, and will be followed by an afternoon tea reception with our family and friends from Australia and the US. What are you most looking forward to about your future together? Elena and I couldn’t be more excited for our future together! We are keen to return to Sydney and begin building a life for ourselves there. Elena will study accounting and finance as I finish my business degree and we have big plans for our careers together. We also have two boys names and two girls names ready for the 3-4 children we hope to raise together. We can’t wait to meet them! If you’d like to book an engagement portrait photography session, or proposal photography, contact us today! Fotograf Nunta Bucuresti - Gorgeous couple. Photos are stunning! Then we went into the forest for some beautiful portraits of the newly engaged couple. Dani – We knew each other through mutual friends in Tucson but we didn’t start talking/hanging out until we “matched” online. We dated unofficially for a few months until Stefan moved to Oregon. A couple months after Stefan moved to Oregon he asked me to fly out to visit and I did, that’s when he asked me to be his girlfriend. Of course I said yes and decided to follow him from AZ to Oregon. What was most surprising about your proposal? Dani – I guess I was most surprised that it happened! We went to Oregon to celebrate Stefan’s birthday so I was definitely not expecting it! Stefan was extremely romantic and put so much thought into the entire process. Not only did he secretly arrange the photographer, but he knows I love Oregon and planned a beautiful outdoor proposal at Pittock Mansion. Afterwards he arranged a romantic post-engagement dinner at a restaurant where we had an amazing view of Portland. Stefan was so good at planning that he even made sure I had my hair & nails done without me realizing! It was perfect. Stefan – I didn’t think I was nervous to ask until it really came down to the wire. I remember walking and going over what I was actually going to say in my head. I didn’t want my nerves to take over so I told myself I would speak from the heart and say whatever was on my mind. I was honestly more excited to see her reaction than anything. Also, knowing that I was going to make her happy was the best part! Dani – Watching each other achieve our goals and celebrate accomplishments together. I know that may sound corny BUT I just have so much fun with Stefan that I’m excited to continue conquering life with him! Stefan – I can’t wait to start a family together and all my experiences with her. I’ve never found anyone else that understands me the way she does. She knows who I really am and is with me through every crazy up and down. She has been the most AMAZING mother to my son, so I know she will make a wonderful mother to our future child! Here at FritzPhoto, we love creating books for our customers. And our customers love our books! Whether for portrait photography or wedding photographs, one of our custom-made books, filled with your wedding or portrait photographs, is something you’ll cherish for the rest of your life. Since every book is custom made, you can select from dozens of options for the cover, including the Crystal Cover, Genuine Leather, Leatherette, Photo Insets, or Full Photo Wraps (on either photo paper or silk). A square Photo Inset. A circular Photo Inset is also an option. All of our albums are printed on real photographic paper, which creates the perfect print of your images. They are vibrant and flawless, and the pages are coated to resist fingerprints. The books are library bound, and designed to lay flat when opened. With so many options for your wedding or portrait album, we’re sure you’ll find exactly what you’re looking for. We’re looking forward to creating memories that will last a lifetime for you! Elizabeth and Jon had a beautiful union at St. Ignatius followed by the reception at Sentinel Hotel in downtown Portland. With the help of their families they incorporated a lot of unique DIY touches to make it extra special. It was such an honor to be apart of their day, and we asked them a few questions to tell the story of their wedding. We were most excited to share our faith and what God has done in bringing us together; a real miracle. Each of our respective families have said over and over what a “miracle” and “answer to prayer” we each are for each other and our families. Jon’s Uncle Fr. Rick Ganz, SJ, Jon’s cousin Fr. Brad Hagelin, and Elizabeth’s Auntie Anne Buck presided over the ceremony; Elizabeth’s pastor from Portland Dr. A.J. Swoboda and her college pastor from Corvallis Rev. Matt Mills did the Prayers of the Faithful. Bishop Peter Smith was also present at the altar. We are still overwhelmed and honored that these 6 people, whom we have personal relationships with, married us. It was truly remarkable, and such a blessing! Elizabeth’s maternal grandfather Forbes Williams arrived early. He is nearly 96, and one of the best men in the world (WW2 Vet, Dean of Undergraduate Studies at Portland State, and most importantly, an outstanding husband, father, and man of faith). When he arrived, we were at a “pause” with photos, and Elizabeth and her Mom were able to put his boutonniere on, and Jon and Elizabeth got pictures with him. Elizabeth and her Papa then sat in the front pews, and Elizabeth showed him her ‘mientras’ tattoo (she got this tattoo a few years ago on her wrist, in her Papa’s handwriting; mientras means “meanwhile” in Spanish). When she first showed it to him after she got it, he said “now I’m always with you.” Jennifer got pictures of Elizabeth’s tattoo over his hand, the two of them holding hands, and Elizabeth showing him her grandmother’s name in the program (including the details about her veil). Fritz and Jennifer got some absolutely amazing photos of each and every one of these moments of Elizabeth and her grandfather. These photos are truly priceless, and she will treasure them forever. Jon also had a bracelet made that said “siempre” (meaning “always”) to go with her “mientras” tattoo. He gave it to her at their first look, and she hasn’t taken it off since. Several things did! Walking down the aisle with my parents, seeing Jon for the first time, dancing with my Dad…My Auntie Anne came to the girl’s dressing room before the ceremony, and all of the girls, my Mom, and my Auntie laid their hands on me, and prayed for Jon and I. We had Jon’s 7 nieces and nephews (the children of 2 of the bridesmaids) and Elizabeth’s Goddaughter and her 2 sisters (the children of another bridesmaid) as our little attendants. They were SO darling in their outfits, and we laughed throughout the day every time we saw them. They were SO excited to dress up and be in the wedding; and they danced their feet off! The bride made pendants of photos of her grandparent’s wedding, her parent’s wedding, and a photo of her and the groom to hang from her bouquet. I (Elizabeth) made little pendants of a photo with each bridesmaid, to hang from each bridesmaid’s bouquet. I also made pendants of photos of my grandparent’s wedding, my parent’s wedding, and a picture of Jon and I to hang from my bouquet, I gave the best man one of Jon and I to give to him that morning, I gave one to my Mom, one to my Auntie Anne, and one to my Dad. We had coloring pictures made of us, and the kids got to decorate them at the kid’s activity table. We had large wooden J & E letters made as our “guestbook,” Elizabeth’s Dad stained them, and then the guests signed them. They are now hanging in the entryway of our home! We wrote love letters to each other before the wedding day, and gave them to Elizabeth’s Mom. She then put them in frames, and they were put at our dinner table. We each saw each other’s letter for the first time at the reception! It was so fun to read them in the moment! (Fritz, of course, captured that moment, too). Elizabeth and her Mom sewed all of the napkins for the reception, and guests took them home as party favors. Elizabeth’s family has a tradition of doing all of the flowers for the grandchildrens’ weddings a few days before the wedding. Her paternal grandmother Joyce Arntson is an excellent florist, and one of her gifts is paying for the flowers. We had friends and family come over the Thursday before the wedding, and make 30+ centerpieces, almost 30 boutonnieres, more than 20 corsages, 10 bridesmaids bouquets, and 6 nosegays for the flower girls. Elizabeth made her own bouquet and Jon’s boutonniere. Jon and Elizabeth took the centerpieces to Good Samaritan Hospital the next morning and donated them. We had a sign that said, “Welcome to our Wedding – Elizabeth & Jon” at the church, and had someone take it to the reception and write “French” on the bottom once we were married. It was then on display at the Sentinel. Elizabeth’s sister-in-law Hannah gifted a name board to her and Jon (Hannah and Elizabeth went to a business and got them to design a board, which she then made with Hannah; Elizabeth chose it to have a monogram F, followed with “The French Family, established 10-06-2018.”) We displayed this at the reception, as well as the words to one of the hymns we sang at the wedding (How Great Thou Art), the words to another hymn sung at our wedding (Amazing Grace), and the words to the one of the Bible verses read at the wedding (1 Corinthians 13:1-13). We had 3 double-sided frames at each table; one side had a photo of Elizabeth and Jon, and the other side had our dinner menu. The basket we used for cards from guests was given to us by Elizabeth’s Aunt Beth, who always gives a picnic basket filled with picnic items to each bride in the family. The stunning couple at St Ignatius Church. The bride showing her 96 year old grandfather her ‘mientras’ (“meanwhile” in Spanish) tattoo in his handwriting. These beautiful napkins were sewn by the bride and her mother. They were also souvenirs for guests to take home. Love letters the bride and groom wrote each other to be read for the first time at their wedding. Such a sweet exchange! We had the biggest dance party of all time. Hanna wanted to have us photograph her senior photos at Cathedral Park, during one of those beautiful October days here in Oregon. She lucked out; both the weather, and Hanna, were gorgeous, and we had so much fun! Hanna is a senior at Camas High School, in Camas, Washington. She’s the sweetest young lady! She’s excited about her senior project this year. She then wants to go to Clark College in Vancouver for two years and then the last 4 at CWU or WSU. Her dream is to graduate college and have a degree is Social Work. She clearly loves to help people. I think Hanna looks a lot like Drew Barrymore. Don’t you? We were so glad she found us for her senior pictures! If you are also looking for a beautiful, affordable senior pictures photographer, contact us today to schedule your senior pictures session!